Tatiana Darie, a recent intern with GPS, speaks with Russian journalist Ilya Barabanov, special correspondent for Kommersant and winner of the Peter Mackler Award for Courageous & Ethical Journalism. The views expressed are his own. You’ve been reporting from eastern Ukraine and along the Ukraine-Russia border. What do Russians think is going on there? Actually, there’s a civil war going on at the moment, I think that would be an appropriate description of what is happening there right now. 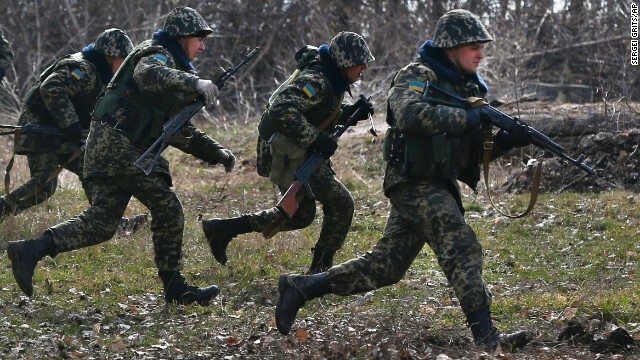 At the moment, the Ukrainian army is continuing its anti-terrorist operation, which was launched in April. These past days they have been getting closer to Luhansk and Donetsk. Ukrainian President Petro Poroshenko, and many in the West are convinced, that this is actually a conflict between Ukraine and Russia. You know, we can have a long discussion about what kind of support Russia is providing to the armies of these self-proclaimed republics in eastern Ukraine, but there’s a clear terminology for this. And while the Russian army isn’t officially taking part in this conflict, I think it’s not worth talking about a Russia-Ukraine conflict. I’ve read some articles published by some international human rights and humanitarian organizations such as the Red Cross, and to my understanding, they have the same assessment of the situation. Obviously, Russia is offering political support to these militias in Luhansk and Donetsk, but that doesn’t change the facts on the ground. We're talking about an armed conflict on Ukrainian territory in which Russia is not, at least officially, participating. You’ve talked toboth locals and rebels in the region. What have you found? What are they fighting for? I think this story had several phases. The first phase began last spring, right after the events in Kiev, around April, when they took over public buildings in Donetsk and Luhansk. Back then, this looked like a political strategy that the family and supporters of the fugitive former President Viktor Yanukovych used, to take control of the situation in the country. Editor's note: Leon Aron is a resident scholar and the Director of Russian Studies at the American Enterprise Institute. The views expressed are his own. 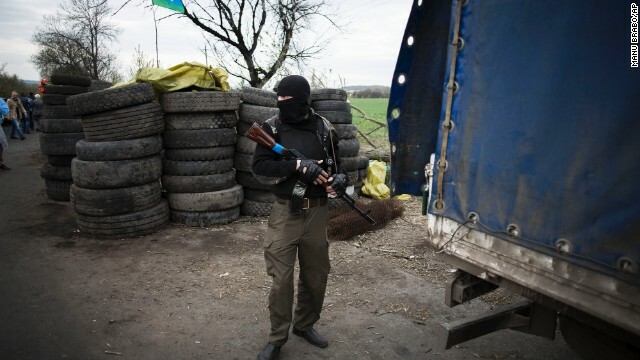 Two wars – one in Gaza the other in eastern Ukraine – are unfolding simultaneously. They have nothing in common except this: both should be being seen as unambiguous in terms of which side is right and which wrong. And second, both are likely to end in a strategic (i.e. long-term) defeat for the right side because of the attitudes that shape the approach of Western leaders to both wars. The facts are not in dispute. In Ukraine, the legitimate government in Kiev is trying to restore Ukrainian sovereignty over its territory, in practical terms seized by Russia in a proxy war using professional special troops, intelligence officers and mercenaries (kontraktniki) to train assorted thugs known collectively as "rebels" or "separatists" who are being armed and supplied by Russia. In Gaza, Israel is battling a fundamentalist terrorist organization dedicated to killing Jews, Christians and gays and oppressing women. As in Ukraine, they attacked first, by firing hundreds missiles at Israeli cities and towns. 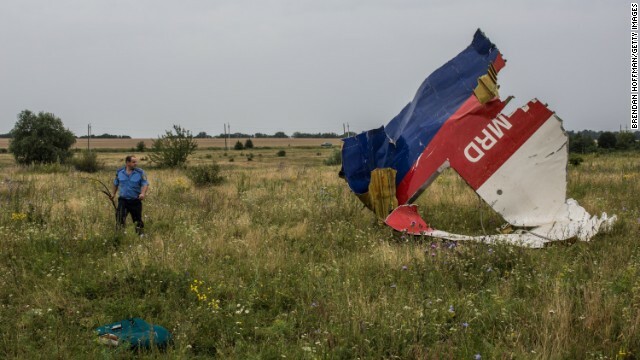 CNN’s New Day speaks with Fareed Zakaria about the politics of the Malaysia Airlines crash, the state of the investigation, and why Russia looks to be on the defensive. This is an edited version of the transcript. Senator John McCain has told us that the United States needs to do more, the United States needs to lead more, that the president hasn’t done enough in terms of leading and the European allies will follow. He also thinks that the United States and allies need to offer arms, offer weapons to Ukraine in order to regain control of the situation on the ground. What do you make of it? I listened to the interview closely. I thought it was unfortunate…What struck me about what Senator McCain was saying is that it seemed needlessly partisan. By which I mean he said President Obama should lead, he said he should name Putin specifically and hold him responsible. President Obama stood outside the White House yesterday and said Putin has a responsibility. He's the person with the most direct control. He and Russia can do something about this. He said the United States should lead with sanctions and Europe will follow. The United States has led with sanctions – the United States has many more sanctions on Russia than any European country, and it has prompted Europeans to do more, as perhaps it will this week. 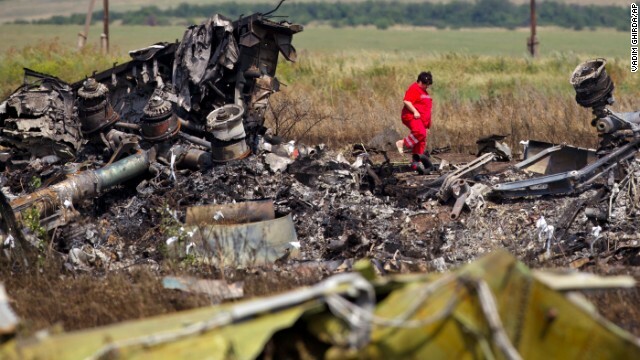 CNN's New Day speaks with Fareed Zakaria about the downing of Malaysian Airlines Flight MH17, Ukraine’s response and what we might be able to expect from Russian President Vladimir Putin. This an edited version of the transcript. You’re well aware of what is going on with the politics and the violence in this country right now. As you heard us report, there are reports of civilian casualties as Ukraine says it's trying to take back checkpoints on the outside of Donetsk. Curious timing for them, don't you think, in the middle of trying to deal with MH17. What do you think the strategy is there? 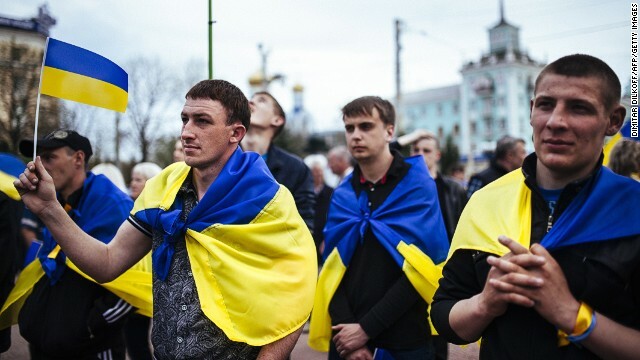 What it could suggest is that the government of Ukraine, the government in Kiev, has begun an offensive to try to take control of this part of Ukraine. This part of Ukraine is not under the control of the government in Kiev. It is under the control of the pro-Russian separatists. One of the things that the Kiev government has kept insisting on is that they need to get control of their own country. They may have seen this as an opportune moment because the rebels are on the defensive, they understand that the world is watching them and perhaps most importantly their patron, Vladimir Putin, is on the defensive. So this would not be a moment where you would imagine Russia would be sending in advisers, streaming across the border at night, sending in heavy equipment, heavy machinery. So it may well be that the Ukrainian government decided this is the moment to act, and as you say, these thugs have fled the crime scene, which suggests that they're going to reinforce their comrades in Donetsk itself. Two questions. 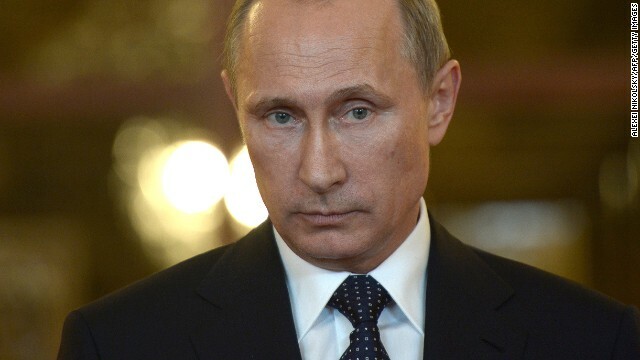 If Russia is so in control, why would Vladimir Putin allow this shameful act to go on? And the other question is, a lot of talk from the Western world about how now is the time, now we must press. But there are no representatives from the Western world except the Organization for Security and Cooperation in Europe, which is an international monitoring group. Nobody is on the ground. Where is everybody if they care so much? The actions of the pro-Russian forces, who it appears shot down a civilian airliner, might seem at first glance to be crude and unsophisticated. But in one sense they're on the cutting edge. They represent something we see all around us these days – the democratization of violence. 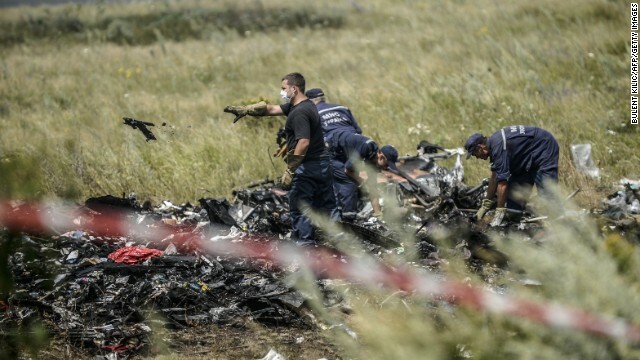 Will Malaysia Airlines crash be traced to a Russian-made missile? Editor’s note: Leon Aron is resident scholar and director of Russian Studies at the American Enterprise Institute. The views expressed are his own. In the thick fog of war hanging over eastern Ukraine it is only possible at this point to establish the perimeter of the known and then to evaluate the potential culpability on a more-likely to less-likely scale. We know that Russia and its proxies have tried to establish a de-facto no-fly zone over the rebel-controlled territory in east-south Ukraine. 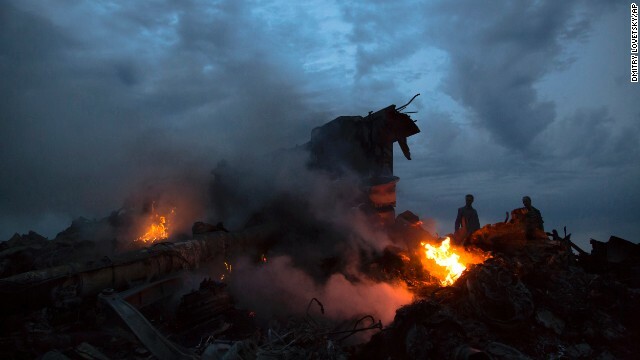 And while initially only low-flying helicopters and planes reachable by shoulder-fired missiles were downed, the targetable range seems to have increased to an altitude that can only be reached by sophisticated surface-to-air missiles, as evidenced by the Ukrainian military AN-26 cargo aircraft that was brought down on Monday. 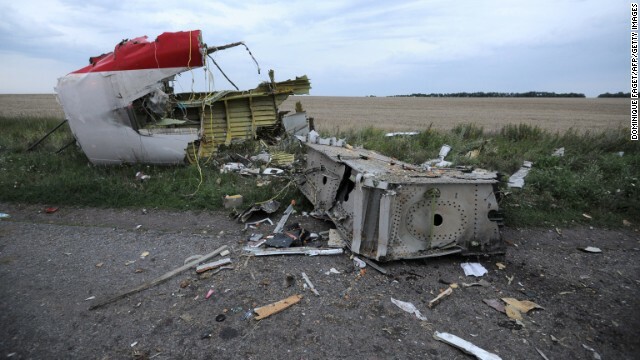 CNN speaks with Fareed Zakaria about the crash of Malaysian Airlines Flight 17 in eastern Ukraine on Thursday. This is an edited version of the interview. Obviously, there's the human horror of this, and that, of course, is primary in our minds. But there are also military implications, political implications, strategic implications, which will largely be determined by who may have fired a missile and why. If this turns out to be what, frankly, many of us suspect it is – a terrible casualty of the Ukrainian-Russian conflict – then this is huge. What might have happened – and again, there are a lot of caveats – but what might have happened is that the Russian government has been supporting, training, arming rebels, separatists in Ukraine. Essentially teaching them how to do this kind of thing. Those forces have, in the past, shot down helicopters of the Ukrainian army, cargo planes – as has been noted. It wouldn’t be difficult to imagine that they thought this was a Ukrainian cargo plane, because they are poorly trained, ill-equipped. They probably don't have the right kind of radar to figure it out, and they probably don't care. These are not people following safety precautions. In fact, the separatist group, just shortly before this plane went down, had bragged about, on this day, bringing down what they said was a Ukrainian military plane. Precisely. Which is why, as I say, all the signs suggest that what happened here was that the Russian government has had this strategy of training these rogue elements within Ukraine to make trouble for the Ukrainian government. This thing then went badly awry as a result of that. But frankly, it was in a perfectly predictable way – when you start using these kinds of forces to do your dirty work for you, something like this is bound to happen because these aren’t disciplined forces that are under tight command and control from the Kremlin.